We’re Moving from Palmyra to Macedon!!! We are still on Route 31 (otherwise known as Monroe Ave or Pittsford-Palmyra Road) and we are still be on the SOUTH side of the road. Macedon is just about 4 miles closer to Rochester. And we have a beautiful new – CLEAN parking lot behind the building for you to use!!! Our phone number is still 585-750-6056 and we will be expanding our hours to be open on Monday starting June 3rd! So, because of all this we have been super busy!!! 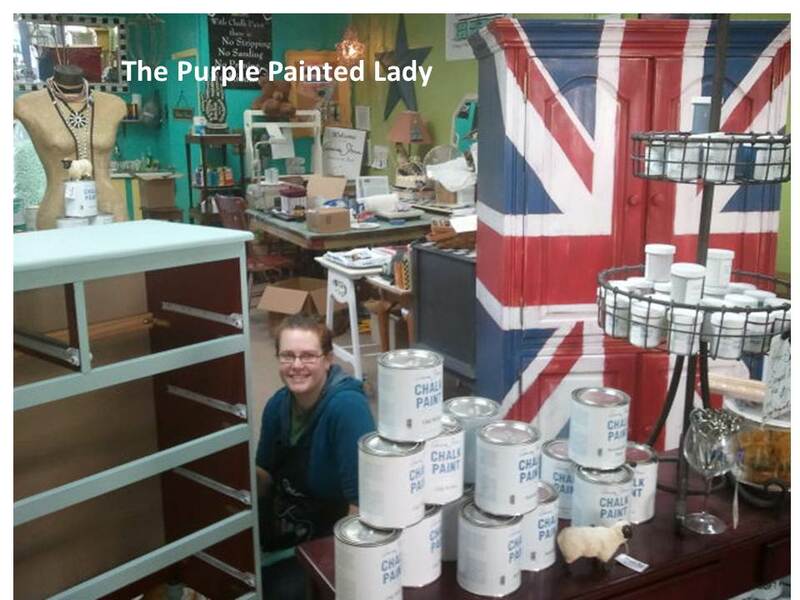 The new store has 2000 sq ft of space and will be Chalk Paint® and Miss Mustard Seed Heaven! 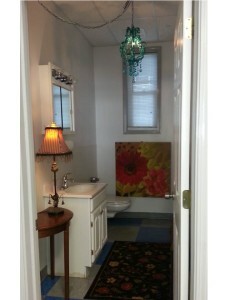 We will even have a bigger bathroom that is heated! (amazing how these small luxuries in life can make you happy!) We have fun plans for this unique space- but they will have to wait till later in June. 1. It is one level! No more carrying cases of paint up and down stairs. 2. It has a loading dock! 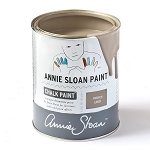 Again!…No more carrying cases of paint. 3. 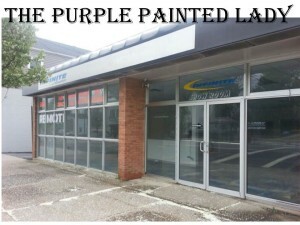 We have a dedicated clean parking lot behind the building for you! No more trying to find parking along the street. 4. The bulk of the building is one big space! Totally open concept! 5. It is a closer to Rochester! If you drive to Eastview mall- that is further than visiting us! 6. The space has AMAZING natural light! The entire front of the store is a wall of windows! 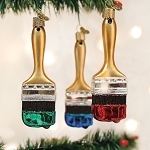 And with all of the overhead light in the store- painting and waxing will be even more fun. 7. There are electrical outlets like every 4 feet. Seems like an odd thing to get excited about- but it does make life more convenient. 8. We will now have a dedicated workshop/classroom space! 9. We will now have a dedicated painting studio just for me! 10. It has Air Conditioning! All on-line orders are still going out same day during this transition because of my awesome friends!!! I will post another photo tomorrow night after we have the painting completed and some stuff moved in and hopefully our name up on the awning! 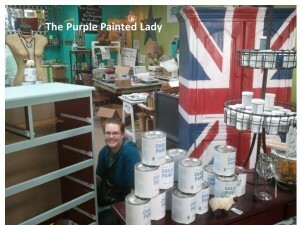 The Palmyra location of The Purple Painted Lady will be open from 10-6pm on Fridays- starting November 2nd. Come on in and visit Julie! Not only can she paint- she makes a mean slip cover! Julie is incredibly talented and kind! Which is why she is perfect for The Purple Painted Lady. For our open schedule – please CLICK HERE! Visit our new location at The Shops on West Ridge, located at 3200 West Ridge Road, Greece, NY. 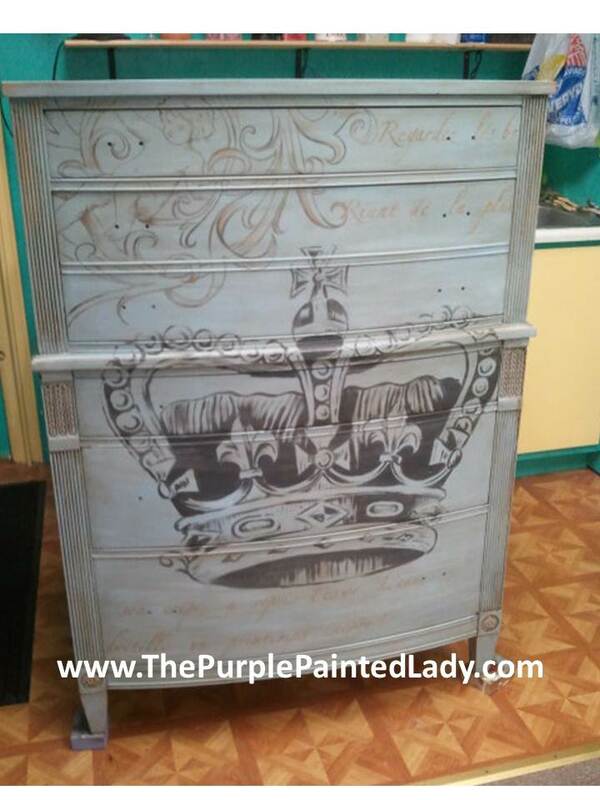 We will have Chalk Paint as well as several pieces painted and recently featured here. Please visit their website to confirm the hours that they are open, but at this time their hours are 10 AM to 6 PM Thursday through Sunday. Call Tricia at 585 750-6056 if you’d like to set up a time to meet with her there.